Working on my memoir last year, I re-discovered my old journals. Although filled with many boring entries, every so often, the pages revealed heartfelt poems, prose, and short stories. I was particularly struck by my poetry and regretted that I had not kept writing poems through the years. Seeing that some Facebook friends are writing haiku as statuses, I decided to reacquaint myself with this type of writing. Haiku is a Japanese poetic form. Traditionally, these poems are 17 total syllables in 3 lines, comprised of 5 syllables for the first and third lines and 7 syllables for the second line. 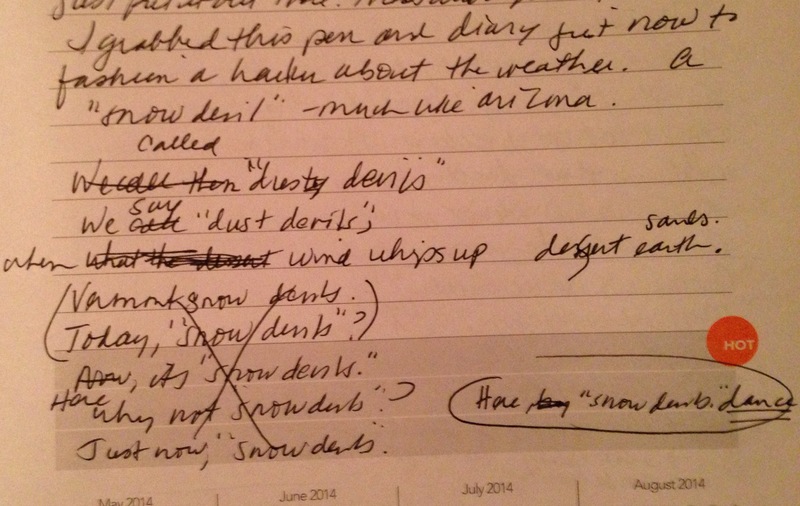 Here’s a good introduction on haiku and how to write them. In the past, many Japanese haiku were about nature and the last line contained some sort of surprise, twist, or change. I can see why. When I started trying this out for myself, I discovered first-hand how easy it is to be inspired by nature and to see life lessons within it. Clear. Crisp. New Year’s Day. Blue skies slowly turning gray. Signs of life after the storm. My favorite of my recent nature-related haiku was the most difficult to write. I saw snow whipping up and traveling across our field and I said ”snow devil” out loud to myself. Then I laughed, realizing that I was talking to myself and also that this was not an actual term. So, I decided to explain it in a haiku. When wind whips up desert sands. Forcing my thoughts and feelings into these patterns has gotten somewhat addictive. On a particularly long and pleasurable training run with my dog the other day, I decided to articulate my feelings in a haiku. At peace, playing in the rain. Great times, then and now. I hope you enjoyed this blog, despite its departure from my usual topics. Please feel free to comment with some of your own haiku. I’d really love to read them. Your Memere, my Mother. My thoughts of her are as complicated as yours.